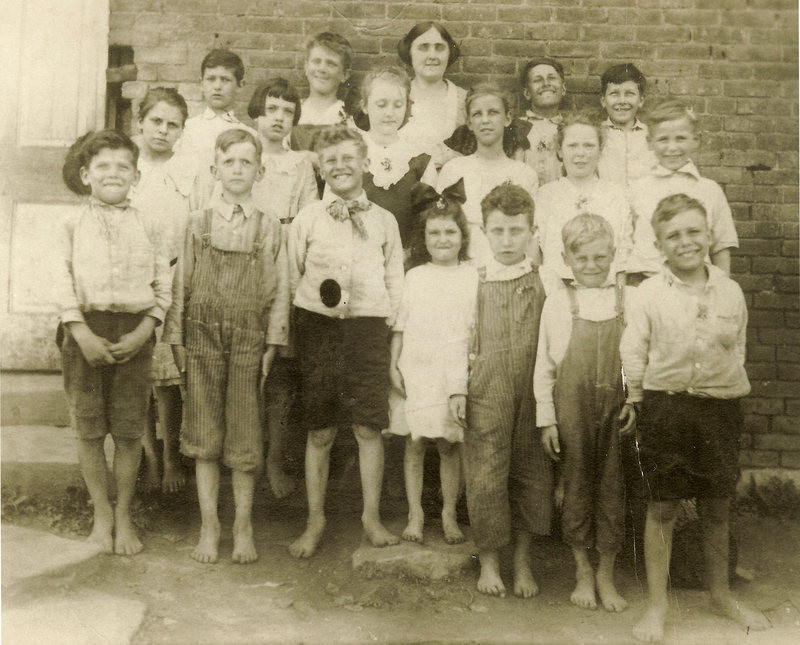 Pam Evener found this photo with names handwritten and transcribed them for this site. Middle row – Helen Green, Aileen Strider, Anita Shicks, Mildred Cross, Golda Salser and ? Pam wrote, "Helen, Frank, John & Coy were my Aunt and Uncles."